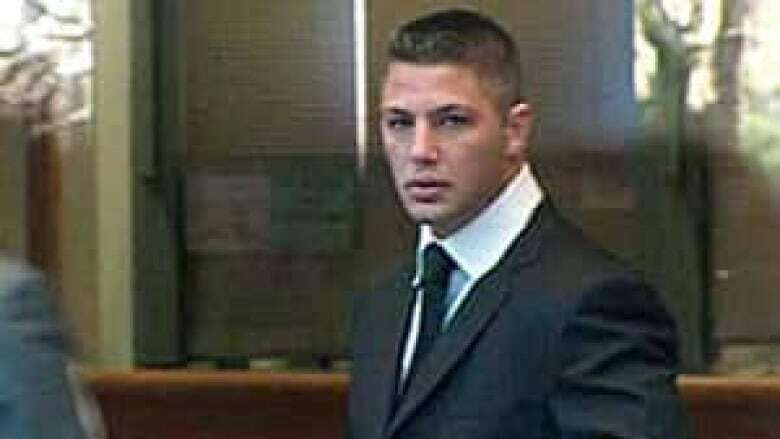 Gangster Jarrod Bacon was sentenced to 12 years in jail for conspiracy to traffic cocaine, in B.C. Supreme Court in Vancouver on Friday morning. The judge noted Bacon showed no sign of remorse, had a lengthy criminal record and was out on bail at the time of his arrest and sentenced him to the upper range allowable. After time served was considered, the sentence was reduced to seven years and two months, but the judge said he held little hope Bacon would be rehabilitated. Bacon and his co-accused Wayne Scott were arrested in 2009 following a nine-month investigation and found guilty of conspiring to traffic cocaine in B.C. Supreme Court in February. Scott is expected to be sentenced next month. The men were convicted for of trying to make a deal with undercover police to smuggle 100 kilograms of cocaine into British Columbia. Police said the men put down a $100,000 deposit on the expected $3-million cocaine shipment. Jarrod Bacon is the middle of three brothers who were allegedly deeply involved in a deadly gang war in the Lower Mainland in recent years. Jarrod Bacon's younger brother, Jamie Bacon, is charged in the Surrey Six slayings, in 2007 which left six dead in a Surrey, B.C., high-rise but has yet to stand trial. The eldest Bacon brother, Jonathan Bacon, was killed in a targeted shooting in Kelowna, B.C., in August.